Aqualine Distributors are changing the game by turning waste tires into valuable oil and other products. 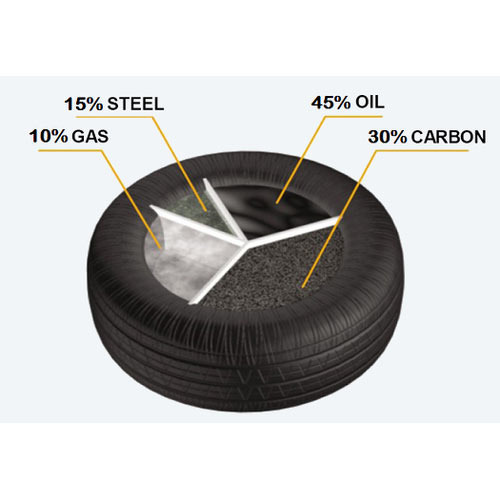 Completely non-bio-degradable, car tires are one of the largest and most problematic sources of waste. It is estimated that over 269 million tires are discarded annually with more than half being burnt openly for fuel giving off damaging levels of greenhouse gases into the atmosphere. Aqualine Distributors source out tires from the community, tire dealers from the markets and also work with street children to collect the tires. Hillary Kitur, the person in charge of the pyrolisis process, explains; “We remove the ring from the first machine called the mill cutter and then we take the remaining tire and cut it up into small pieces. The small pieces are then tossed into our reactor.” The reactor is a machine that does not allow in oxygen. The reactor is where the transformation from waste to reusable recycling materials takes place. At the beginning of the process, Aqualine uses firewood to start the burning. Once the tires start heating, they produce a flammable gas which is then pumped back into the system to fuel the fire; making it is a self-sustaining process. 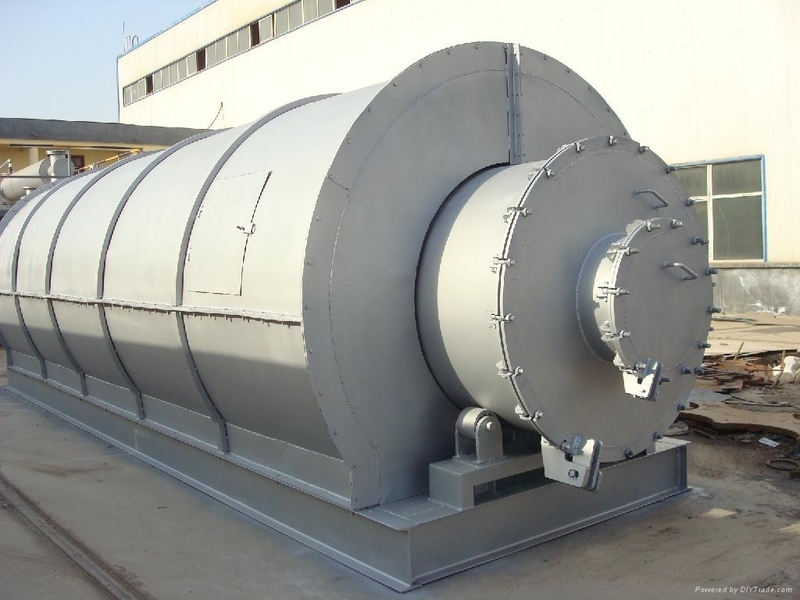 The plant produces about 40 to 50 percent oil during the pyrolisis. 200 tire pieces, can produce 3,500 litres of oil. The Aqualine plant has been up and running for 15 months. Its successes have been visible for all to see and have won accolades in green innovation.